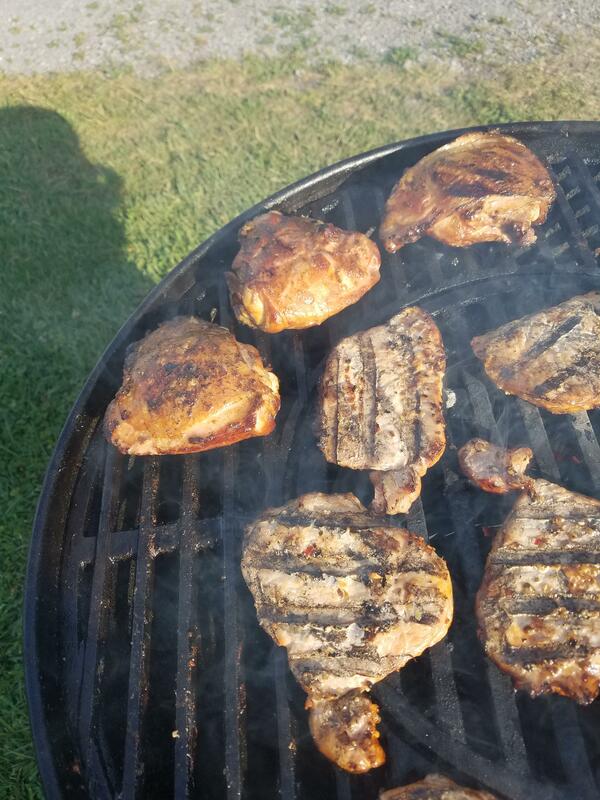 On Monday evening, a few hours before game 5 of the NBA Finals, I had chicken thighs and pork chops thawed out from the freezer and ready to add to a hot grill! 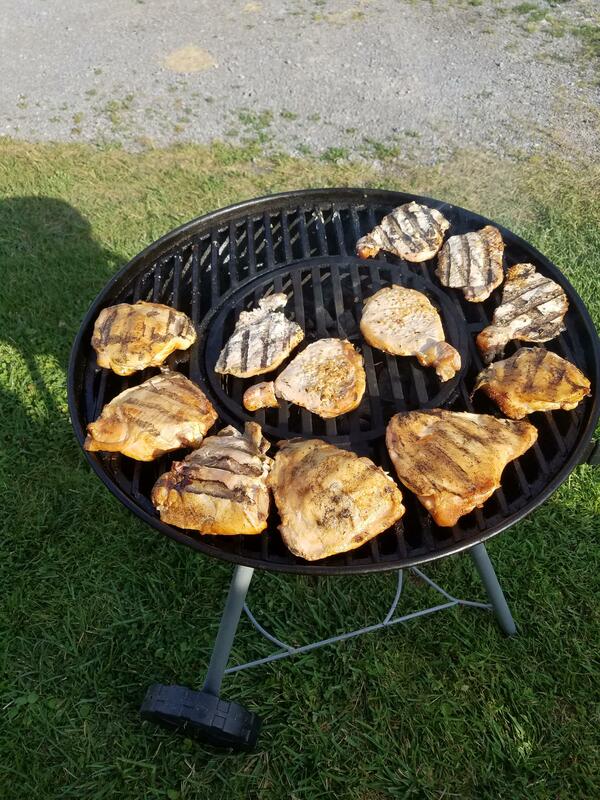 I used my STOK drum grill. 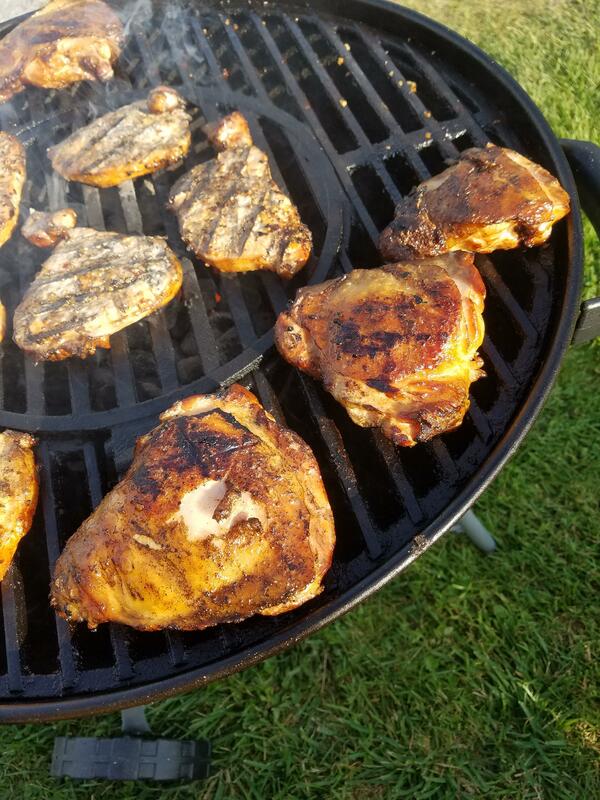 For the chicken thighs, I seasoned ’em up with Tony Chachere’s Creole seasoning. I get mine for a $1 at a local Roses. I reckon any kind of Cajun seasoning will work. I love the flavor of Tony Chachere’s Creole on meats (works phenomenally well on smoked bologna). 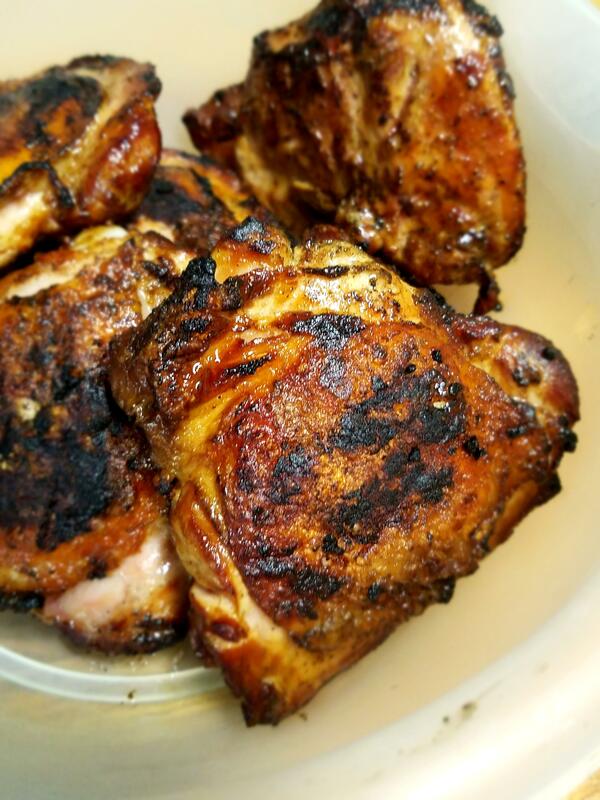 I cooked the thighs on indirect heat for roughly 25 minutes before I crisped them up really nicely. 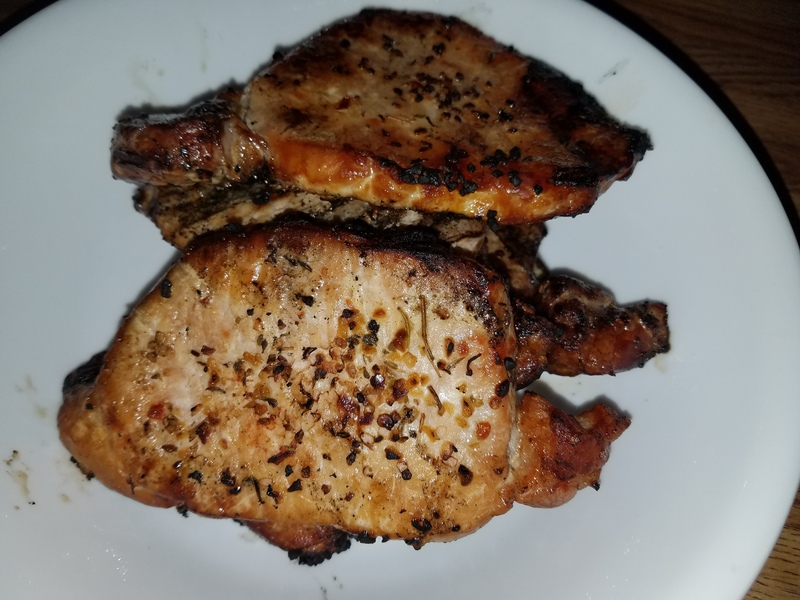 For the pork chops, I used Weber’s roasted garlic & herb seasoning for the first time. My girlfriend’s family generously got me a horde of Weber seasonings for Christmas and I figured I’d give this one a go for the first time. What a success! Everybody loved them, thankfully, and they had a real nice crust on ’em, full of flavor with each bite! 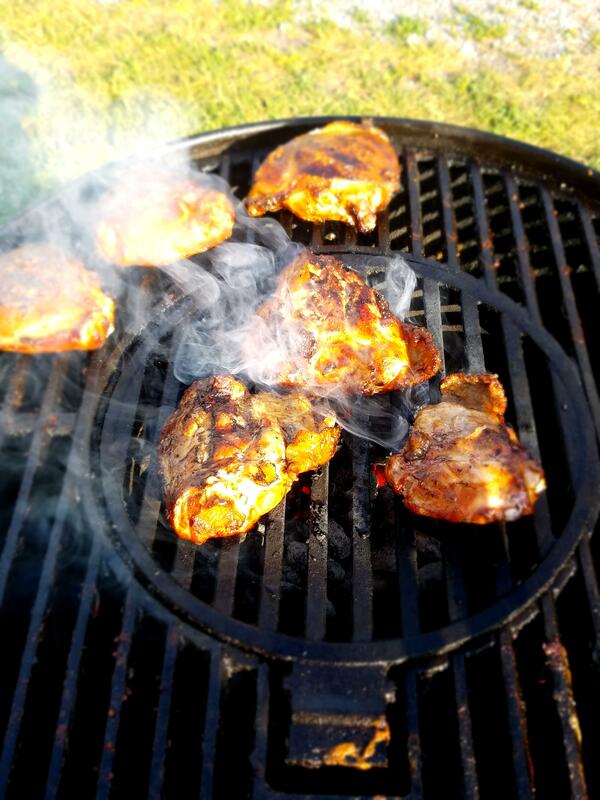 I also must add that I added a tiny chunk (looks like a mini log) of apple wood from my tree out front to add a little extra flavor to this grilling experience.